You can tell at a young age. They flat out refuse to go down for their nap. They play with their food, instead of eating it. Their fingers… are suspiciously sticky most of the time. And sometimes, they get really quiet, and not in the good way. It’s the kind of quiet that is almost always followed by some kind of disastrous mess. That’s when you know. Your toddler is a sly scoundrel, just like Lando Calrissian from the Star Wars movies. Don’t worry, though. Scoundrels are good. Despite their often rascally nature, when they have a good heart, they can accomplish some pretty awesome things! The Rebel Alliance was full of them and that sort of cunning mentality allowed them to triumph over the evil Galactic Empire. Your little one might grow up to be a hero of the Rebellion himself! All he needs is a little bit of your guidance. Of course, a dapper outfit never hurts either! This toddler Lando Calrissian costume turns your cunning kid into the hero from a galaxy far, far away! 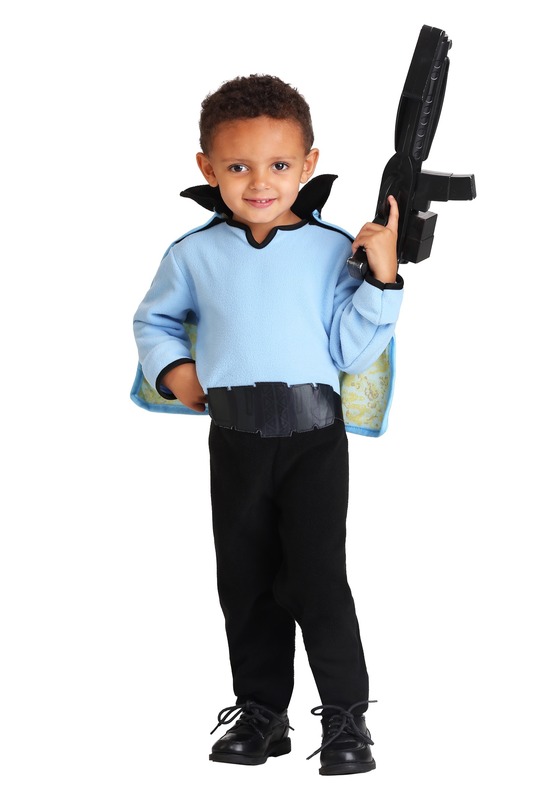 The licensed Star Wars costume comes with a jumpsuit that has a light blue top and a black bottom, which recreate Lando’s look from The Empire Strikes Back. It even has a flap in back to make diaper changes easier. 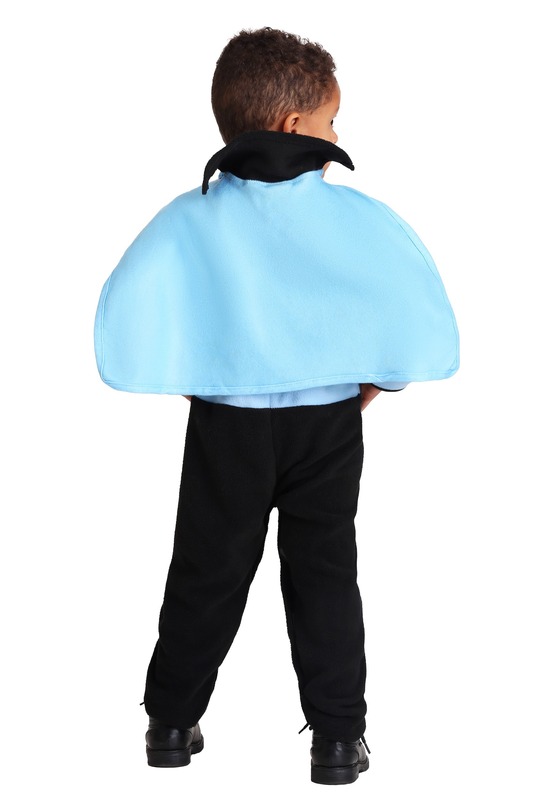 Of course, we all know that Lando is a man of class and style, so this costume comes with a matching blue cape that fits with simple fasteners on the shoulders. When your toddler puts it on, they might even feel clever enough to run Cloud City on their own. 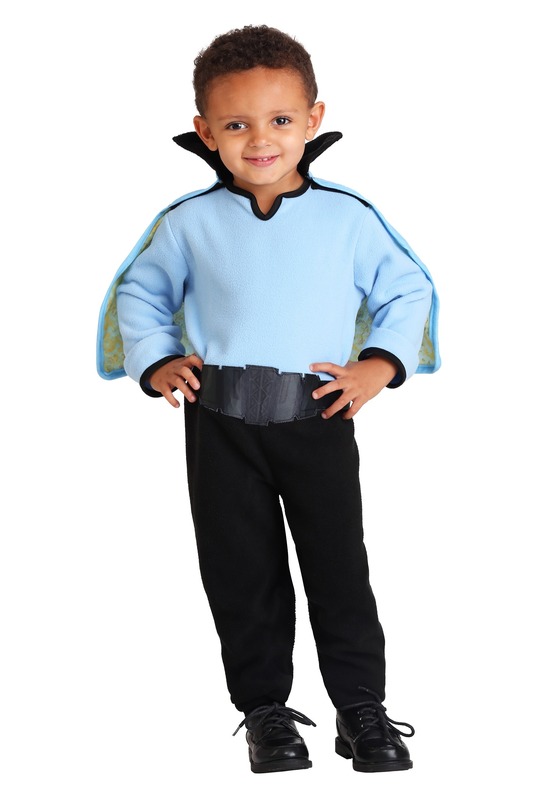 If your child is one tricky toddler, then he’s going to enjoy wearing this licensed Lando costume. Who knows? With your guidance and this new look, he might even be ready to blow up a Death Star!